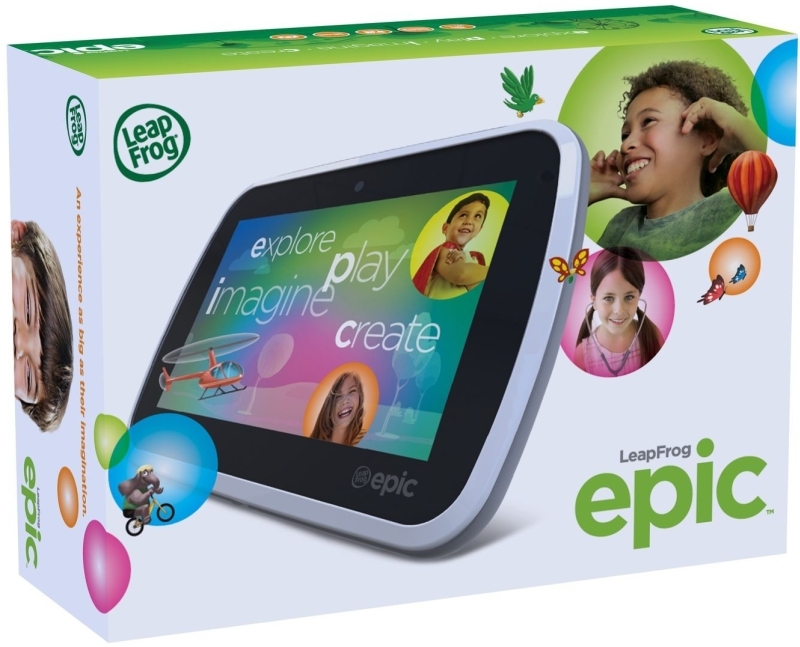 LeapFrog’s Epic tablet is another excellent addition to the LeapFrog range of educational gadgets! LeapFrog are synonymous with educational learning toys and the Epic brings LeapFrog bang up to date. 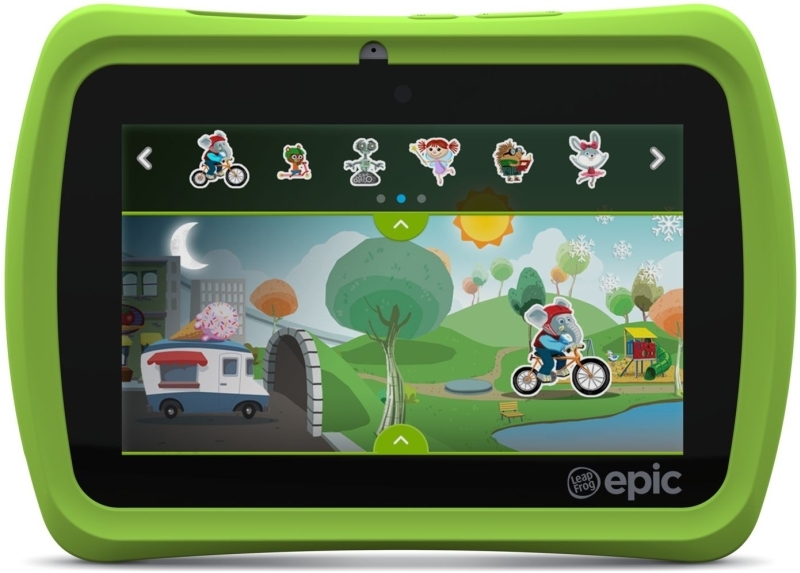 The LeapFrog Epic is a children’s learning tablet that encourages a child to Explore, Play, Imagine and Create. I was delighted when asked to review the LeapFrog Epic as I love technology and gadgets and love anything that helps develop children’s education, especially in a fun way. The LeapFrog Epic is an Android based tablet (Android OS 4.4) with a 7” colour screen (has a resolution of 1024×600), 16GB memory (can be expanded to 32GB with a Micro SD card), a 1.3Ghz Quad-Core processor, Wi-fi, Bluetooth 4.0, 2MP front and rear camera and a 6 hour battery life. It comes supplied with a USB cable (so you can plug into your PC/Laptop if needed) and a mains charger. With children firmly in mind LeapFrog have added a thick rubberised cover around the edge of the tablet making it much more resistant to drops and falls and also makes it much easier for small toddler hands to grip and hold. Attached to the cover is a stylus which slides into the cover for easy, unobtrusive storage. The Epic also features volume up/down buttons, microphone and headphone jack. In the box is the LeapFrog Epic, mains charger, USB cable, quick set up guide and parent guide. 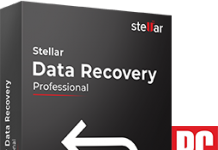 Setup is easy by following the onscreen instructions. A parent account is created to control what apps and access rights different age children have which means that you can have age appropriate content for children of differing ages, making it a much more enjoyable experience. 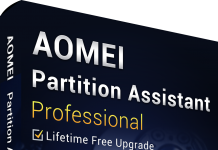 Once setup is complete and all the applications downloaded the children then have access to the 20 apps that are included (more can be purchased from LeapFrog online – wi-fi connection required). The included apps range from ABC songs to creative art packages, games and videos. There is also an interactive home screen where the children can choose their world and customise it with people, vehicles, animals, weather and displays the time of day and weather conditions in real time so the home page is a constantly moving world that goes through day and night. While it is an Android based tablet it doesn’t work the same was as a regular Android tablet as it has the LeapFrog software overlayed. 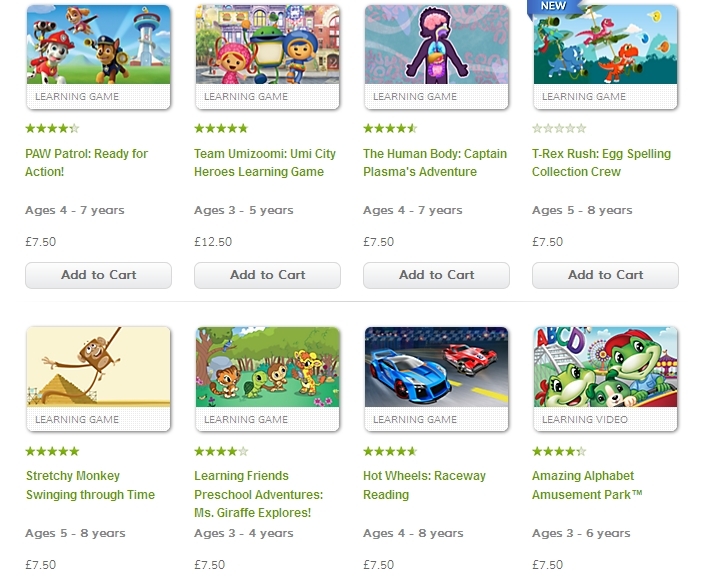 This software is designed to only show age appropriate apps and videos to children and they cannot download or view anything that hasn’t been pre-approved by LeapFrog and they can’t purchase anything without the parent/carer entering the unlock code, so it is all very safe and child friendly. While there are lots of great features on the Epic the one that I particularly like is that the apps grow with the child, so while the Epic is suitable for use from age 3 apps will be age appropriate and grow with the child. All apps are educator approved so you know they are going to help with your child’s development. I was using it with 3 year old twin boys, so what did they think of it? Well I have to say first off that they love it! How do I know this? Well apart from the fact they tell me they love it, it has been very difficult to get it off them to actually do the review! They both find their way around it without any help from me. Their favourite app is Art Studio Ultra where they can create their own pictures with a variety of drawing and colouring tools or with the use of “stickers”. They love watching the various pre-approved videos of their favourite film and television shows (Frozen, Peppa Pig etc…) and the educational sing-along songs teaching their ABC’s and number counting. So I know 3 year olds love it but what do I think of it as an adult? Well apart from it’s extremely easy for them to use with very little or no intervention from me, as an entertainment toy it is briiliant. It has plenty of games and apps to keep them entertained. But as an educational tool it is excellent! It has plenty of educational apps that teach letters, numbers, words etc. 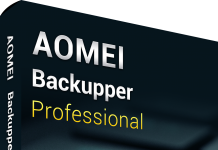 all in a fun way (some using one of their favourite characters; LeapFrog’s own Scout), although the apps supplied are in an American accent, but that isn’t really a big issue. The Parent Controls are excellent; you can manage the device, children’s logins, users, manage apps and which users can use them, and one of my favourite controls is that you can manage time and usage – for example you can set usage time so can be set to use for a set number of hours per day and can set the times it can be played between (so if set at bedtime it cannot be used after this time). You can even control the times spent playing different content; so if you wanted use to primarily for educational use you can set this can the playing times of just for games, for example, to 15 minutes per day while having Learning Games as 2 hours etc… You can even customise these options for weekday and weekend use! In Parent mode you even have proper access to the internet. I think these options are a brilliant idea. Now with 3 year olds things really need to be durable and robust and so far the Epic is coping with everything that excitable toddlers can throw at it; it has been pulled, dropped down the stairs, walked over and is still all in one piece! This is due to the rubber cover that does an excellent job of protecting the Epic when dropped. The only thing I would recommend would be getting some screen protectors to protect against scratches as they did get a small scratch on the screen from using the wrong end of the stylus. Overall this is an excellent piece of equipment that children and parents will find fun and educational all while giving parent’s piece of mind that all content is safe and age appropriate. Parents can control access to apps for each user giving complete control over who can use each app. It is easy to use, easy for a toddler to hold without being too heavy. The battery lasts around 6 hours but has some battery saving features like turning the screen off after 2 minutes of inactivity – this is extremely useful as the boys put the tablet down to go off and do something else. 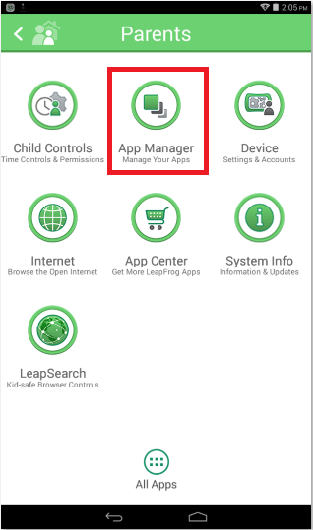 We haven’t yet made a purchase of any apps from LeapFrog’s App Centre but will be soon as we have some LeapFrog App credit to use. Purchasing other apps is done in Parent mode and start from around £2 per app (you will need a wi-fi connection to do this). We love the Epic. It is a quality, robust and durable tablet that is standing up to toddlers play. It is fun and educational, content safe and grows with the children giving them a complete interactive experience to compliment play and learning time. Firstly, by getting them singing along, repeating words (with apps such as Word of the Day) etc. Secondly, it encourages discussion about what they are doing, what they are playing, what is happening with the characters on the screen. Thirdly, it has encouraged them to talk between themselves a lot more and help each other when one gets stuck on something. 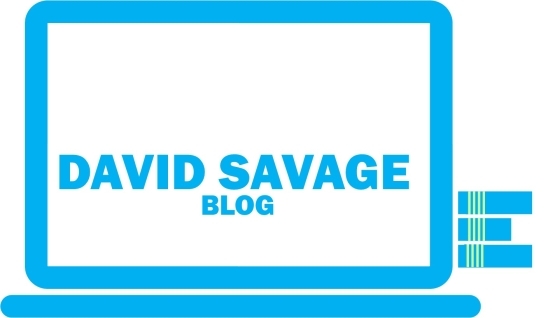 So for speech and language development, it has been a fantastic tool in addition to other resources I use with them (for this reason alone I would have to give it top marks). The Epic also has a front and rear camera for taking still photos and recording video. This is something the boys are not interested in as of yet. The camera quality is only 2MP, so while not the greatest certainly is not so low that pictures are poor quality. Once they start using the camera there is plenty of storage space with 16GB on the Epic itself which can be expanded to 32GB by adding a 16GB Micro SD card into the slot on the top of the tablet (the slot is hidden beneath the rubberised cover so no easily accessible by little fingers). Well done LeapFrog, another quality product with children’s education at the forefront! Learning is always best while having fun doing it and the LeapFrog Epic achieves that! For more information or to buy visit the LeapFrog store here. Disclosure: I was provided with a LeapFrog Epic for the purposes of writing an honest and impartial review. All opinions are my own. Home-sick: Are Toxins In Your Home Making You Ill?